A master suite is a space in your bathroom that provides you with additional luxuries that you do not have in a traditional master bathroom. There are some features that you should choose for this space. These features will help provide you with the best experience possible. Let’s take a look at some of these features now. Why have a master suit if you have a tiny shower? One of the features you should choose is a huge shower. Many people like to choose walk-in showers that are equipped with jets and more. You will find that you have different options available to you. In fact, you can choose jet streams that are angled in different areas to help soothe your sore muscles. One of the nice things about a master suite is that you have a lot of space. First and foremost, you should have two different grooming stations – one for him and one for her. This will allow you and your partner to have enough room to do what you need to throughout the day without worrying about impeding on the other person and their personal time. Next, another beneficial feature that you need in your master suite is radiant floor heating. Heated floors are a nice luxury and they will ensure that you do not have to walk around on a cold floor, especially when you get out of the shower. A master suite is a great way to add additional space to your bedroom and bathroom area. In addition to the above features, you can also add other features such as gym equipment, a large walk-in closet, and even a patio or balcony, if you have the room. If you would like to discuss some master suite design options, contact J. 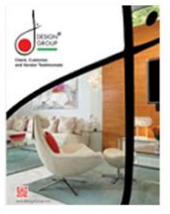 Design Group today to go over your options.